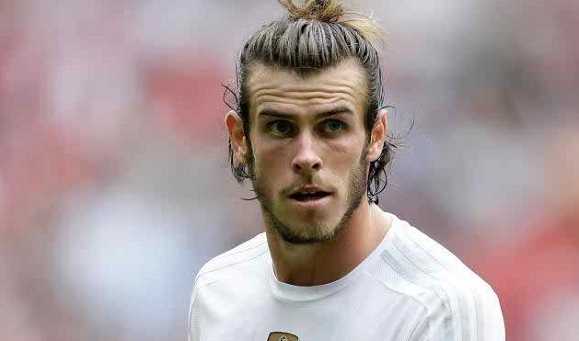 Millennial, Gareth Bale is a top-tier Welsh athlete known for professionally playing football. He is positioned as winger during most seasons. He plays for Spanish Club Real Madrid and also the national team of Wales. His signature moves includes, swerving free kick, ability to get past defenders and striking a ball from far distance. He is applauded by his peer for impressive physical strength, quick movement and exceptional tactics during game. In the recent years he was titled PFA Players’ Player of the Year. When he made his senior international debut, he was the youngest player to represent a team. On 16 July 1989, Gareth Frank Bale was born in Cardiff, Wales, to a father who was a school caretaker and mother who worked as an operation manager. He received his early education from Eglwys Newydd Primary School. Moreover, he is the nephew of Chris Pike, a former Cardiff football player. He was inspired by the Welsh Manchester United player Ryan Giggs. While studying at Whitchurch High School, Bale showed great interest in playing football. He received his training in football from Southampton’s satellite academy in Bath. It initially appeared to be doubtful whether he would be able to garner sports scholarship owing to his height. He graduated from his high school with Grade A and received plaudits from PE department for his excellent performance in sports. Three months shy of turning 17, Bale became the youngest player ever on the Southampton team. He scored his first goal with a free kick in a league on August, 2016. Another free kick scored him a goal in a game against Coventry City. The same year he managed to score five goals and his free kick reputation soared. Following his outstanding performance he awarded the BBC Wales Young Sports Personality of the Year by the Carwyn James Awards. The following year he signed a four-year contract with Tottenham Hotspur. His transfer fee was raised up to £10 million. During his time with Spurs, he scored his first goal in the second game against Manchester United. He played against Fulham, Arsenal Middlesbrough. In 2007, Bale received a leg injury that created hurdle for him during the season. He was sidelined due to torn ligament which required surgery. He underwent a surgery in 2009 and made a comeback in a Premiere League game against Burnley. He was earlier substituted by Benoît Assou-Ekotto during numerous games. So when Assou-Ekotto sustained an injury he was given the second chance to prove himself on the field which he did in Spurs’ FA Cup league 4-0 victory. He eventually found himself in a good physical form. By the time Ekotto returned, Bale had cemented his place as a top-tier player as he scored against Dutch team FC Twente marking his first goal in Champions League. In 2012, he changed his squad position number from 3 to 11. In the months that followed, Bale scored game-winning goals in the Europa League. Bale soon reached the zenith of his fame with his top-notch performance. His popularity chart jumped when he was transferred to Real Madrid for the amount that varies between £77 million to £85.3 million which is higher than Cristiano Ronaldo’s transfer record fee.